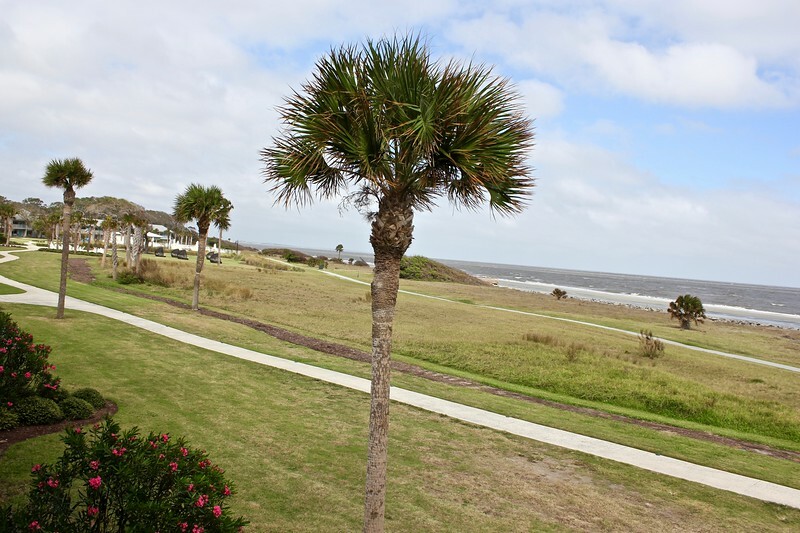 This is my Holiday Inn Resort Jekyll Island review. Erin of 10 Miles Behind Me and I stayed at this peaceful oceanfront hotel on Jekyll Island, Georgia, for two nights this fall. I admit, I didn’t know that Jekyll Island, Georgia, existed until this past fall. Luckily for me, that changed when I was invited for a stay at the Holiday Inn Resort Jekyll Island. 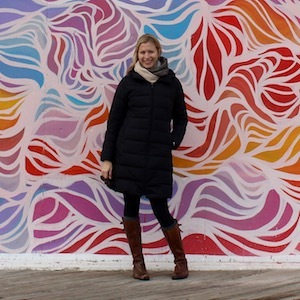 I was able to coordinate the trip with my friend’s bachelorette party in Savannah and easily convince my friend Erin to join for a few days of Southern sunshine. At only 7 miles long and 1.5 miles wide, Jekyll Island is the smallest of Georgia’s barrier islands. During the late 19th and early 20th centuries, it was a summer retreat for wealthy Northerners like the Astors, Pulitzers and Rockefellers, and today you can see how they lived and played by touring the island’s Historic District, a National Historic Landmark. With 65 percent of the island off-limits to development, and only 500 year-round residents, the island offers visitors a peaceful retreat from daily stresses among the forests, dunes and marshlands. Erin and I arrived on Jekyll Island around lunchtime on a sunny Wednesday, after driving about 90 minutes south from the Savannah Airport on 95 through the marshland that lines the coast. 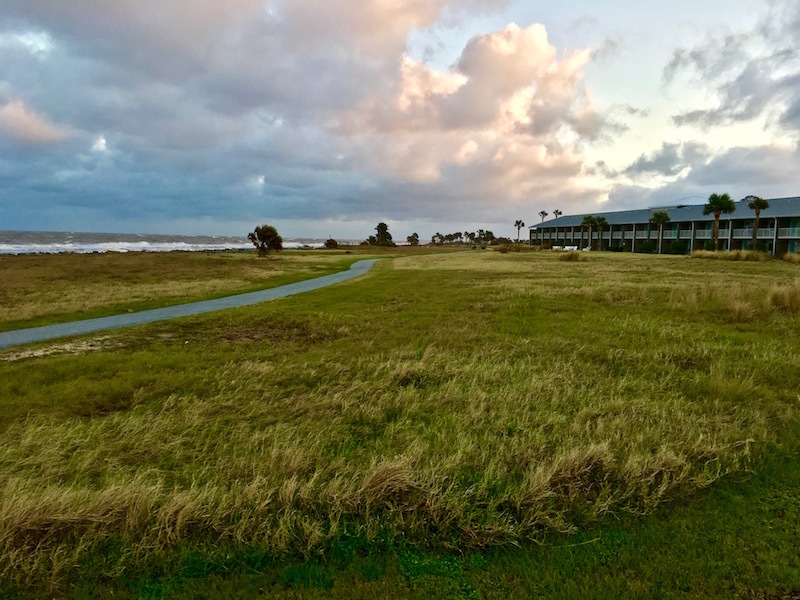 After crossing the causeway that connects the island to the mainland, we found Holiday Inn Resort Jekyll Island – our home for the weekend – about a mile or so down Beachview Drive, which runs right along the ocean. Pulling into the parking lot in front of the Holiday Inn Resort Jekyll Island, we noticed it was built in the same mid-century style as many of the surrounding homes and hotels. 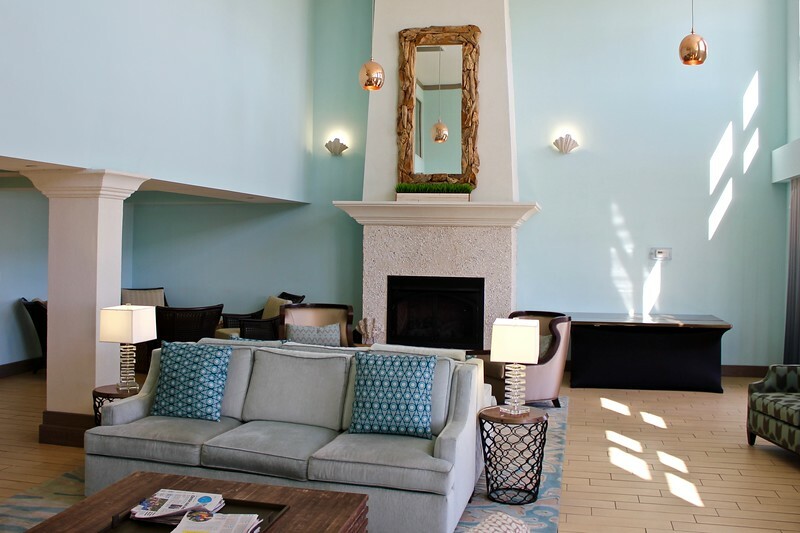 However, we found the resort’s lobby to be light, modern, and spacious – with soaring ceilings, bright blue walls and neutral accents. 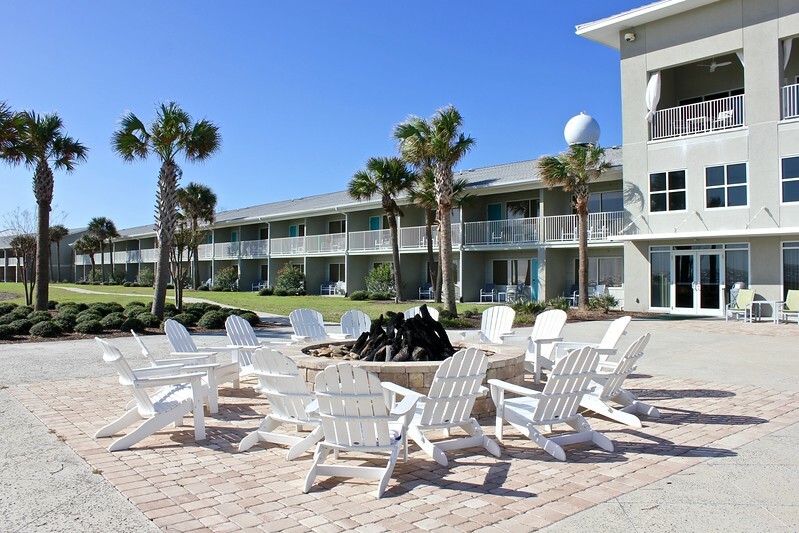 Its large windows look out over the back patio to the sand dunes and ocean beyond. After being warmly welcomed at reception and chatting with the staff – Southern hospitality at its finest – we went to check out our room on the second floor. 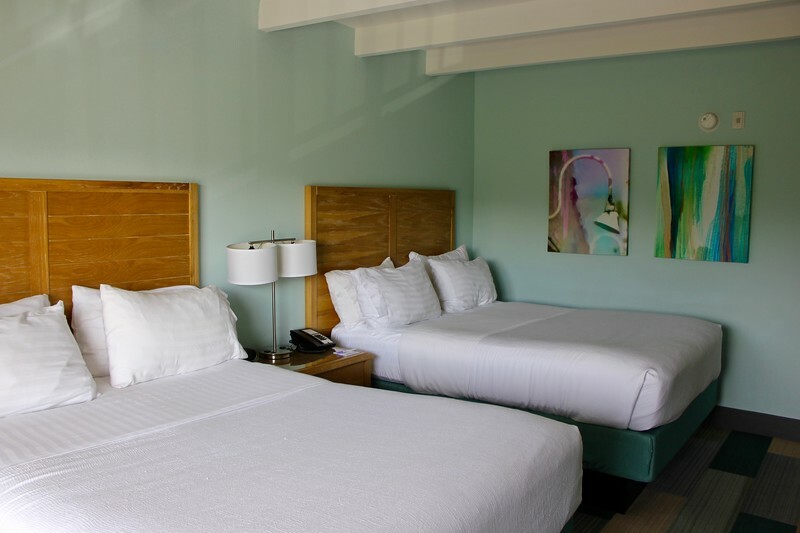 One of the property’s 21 suites, our room had two queen-size beds as well as a large living room with an efficiency kitchen and a small patio overlooking the beach. Not wanting to waste any time indoors on a warm and sunny afternoon, we quickly dropped off our bags and headed out to explore. 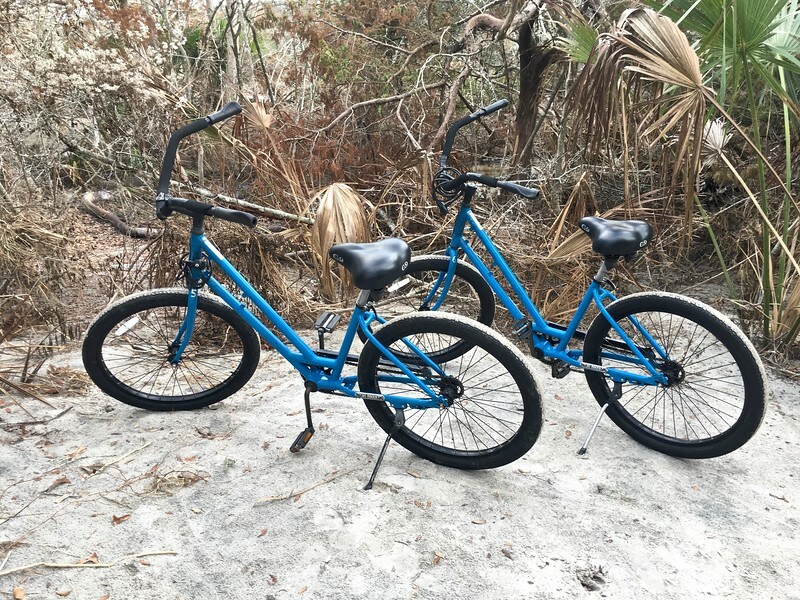 We rented a pair of beach cruisers from the resort and set out on the 20-miles of trails that you can access from the back of the property, stopping at key island attractions like Horton House and Driftwood Beach. After working up a sweat, we were in the mood for some refreshments and were pleased to find one of the island’s most popular bars and restaurants, the Beach House, right at the resort. We had a great time sampling Southern beers and chatting with friendly local residents before heading out to dinner down the road. We also spent happy hour at the resort the following night. Since we were tired from a long day of sightseeing in the Historic District, we decided to check out NorthShore, a small bar on the third floor of the Lobby Building that serves as a cafe during the day. On the bar’s patio, we leisurely sipped white wine and watched the sunset, completely relaxed and content. We were the only guests at NorthShore that night, and we found that one plus about visiting Jekyll Island during off season was that there weren’t many other tourists around. The quiet and lack of crowds made our stay even more peaceful; however, on the other side, it was a little too chilly to take a dip in the resort’s large swimming pool or in the ocean (a good reason to return!). On our last morning on the island, we enjoyed breakfast on the patio of the Beach House and took a stroll along the beach to soak in the beauty of the property for a few more minutes. After very reluctantly checking out of the resort, we squeezed a quick trip to St. Simons, a neighboring island, before heading back to the mainland and back home to our busy lives. If you’re traveling with children, there’s a Kids Club area with activities. It’s also pet friendly, and the charge is only $20 per night. There’s a large fitness center, but we were too busy to use it. The Anchor serves food and drinks poolside, but since we were there off season, we didn’t get to check it out. 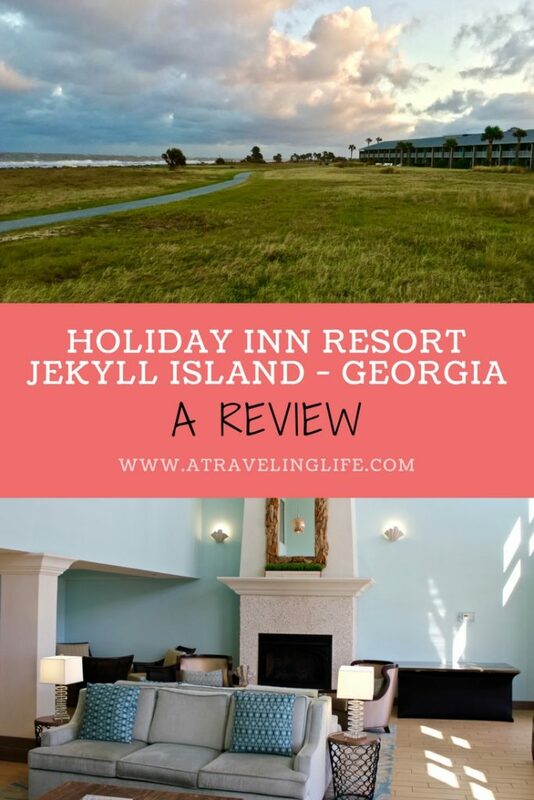 Check out what Erin had to say about our trip to Jekyll Island and our stay at the Holiday Inn Resort Jekyll Island. 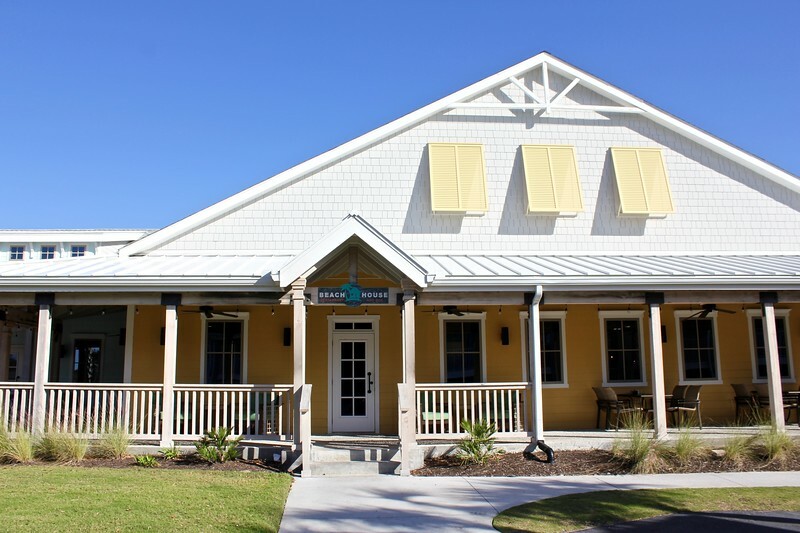 This Holiday Inn Resort Jekyll Island review was provided in exchange for two nights of accommodations. Thank you to the Holiday Inn Resort Jekyll Island for hosting Erin and me during our stay. It was wonderful!